Katharina is co-founder and CEO of Shpock – the flea market app for beautiful things nearby. Since its initial launch back in September 2012 the “SHop in your POCKet” attracted more than 10 million users, who are discovering, selling and buying over 2.5 billion Euro worth of items via Shpock. Today Shpock is one of the most downloaded shopping apps in Germany, UK, Italy and Austria. In the past 3 years Katharina and her co-founder Armin Strbac successfully created the prerequisites to turn Shpock into a global brand. This allows the talented and hungry Shpock team (70 crew members from 17 different nations) to get even bigger and to conquer new frontiers to become the go-to-marketplace solution for the smartphone generation worldwide. Shpock wasn’t Katharina’s first project. Already in 2010 she and Armin founded finderly, a recommendation platform for electronic products. 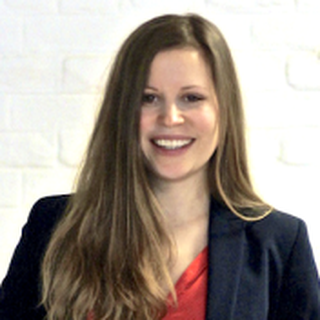 Before becoming an entrepreneur Katharina studied business administration and worked in the fields of business consultancy, finance and marketing. While earning her PhD she managed innovation projects for big companies and gave lessons at the Institute of Entrepreneurship & Innovation at the WU Vienna.